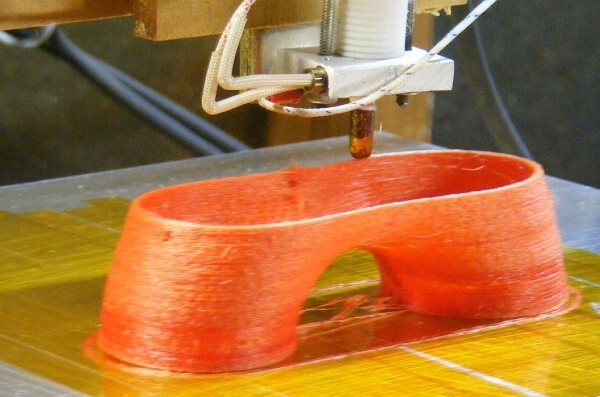 3D printing with ABS and other plastics that have a low-melting point are old hat. And, with the price of entry dropping below the $500 mark, soon enough anyone will be able print their own pirated 45s. Instructables user [taulman] has has taken it upon himself to push the DIY polymer extruder scene in a new direction — Nylon. The slick and bendable Nylon 6 melts at 320 degrees celsius, roughly 100 degrees higher than the more common and brittle ABS. The flexible nature of nylon has some obvious advantages, particularly when printing tubing or even an iPhone case. What’s more, gears and bearings created from the synthetic don’t need to be lubricated. But, this isn’t the end game for [taulman]. The resourceful DIYer plans to keep working on his high-temperature system until he can build custom creations from Delrin and Polycarbonate. The obvious downside here, is that higher temperatures require more power and more rugged components that could drive up cost. But, we’d say it’s a small price to pay for being able to print your own Otterbox. Check out the video demos after the break.